The Chinese government is facing anger from mom-and-pop investors after hundreds of online lending platforms imploded, wiping out their savings. The outcry shines a light on a murky corner of China's financial industry that authorities allowed to grow rapidly with little oversight. Promises of double-digit returns attracted people looking for more lucrative places to put their money than conventional banks. But a recent crackdown by the central government in Beijing has helped trigger a sharp increase in the number of platforms going bust. The crisis has hit people like a construction project manager in Beijing who told CNN he invested more than 275,000 yuan ($40,000) with a site that suddenly shut down last month. "The first reaction is disbelief. I didn't believe the platform had collapsed ... But in the end, I had to accept the truth," the 28-year-old man said, declining to be identified for fear of government retribution. He said the amount he lost included his parents' savings, money he'd borrowed from friends and funds he was planning to use to buy an apartment for him and his pregnant wife. The demise of the platform he invested with, Tourongjia.com, is now under police investigation. A government notice from July posted on its site says the chairman is missing and 13 suspects have been detained. It advises investors to report their losses to police as soon as possible. The company's phone lines no longer work. 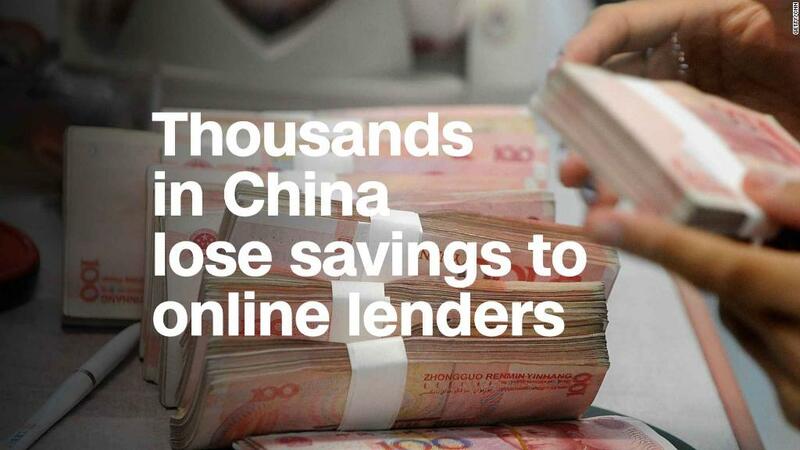 The collapse of peer-to-peer lenders in China has prompted public protests. Sites like Tourongjia, known as peer-to-peer lenders, were supposed to provide an alternative source of credit for borrowers like small businesses that were struggling to secure loans through China's established banking system, which has traditionally favored state-owned companies and large or politically connected firms. The Chinese government initially encouraged the growth of the sector. 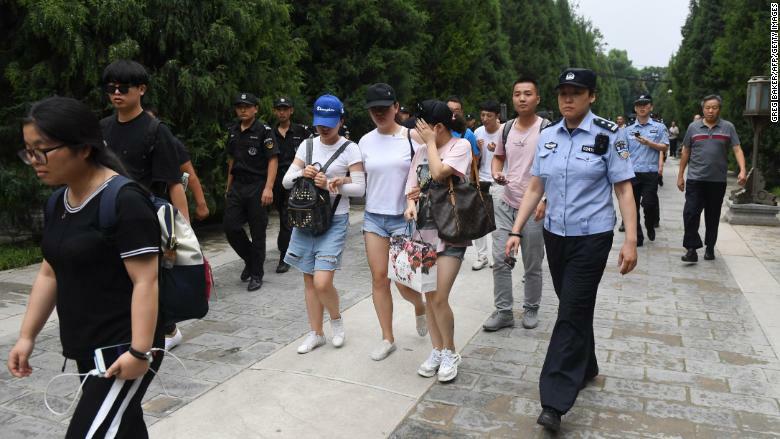 But it "became a magnet for the misrepresentation and criminality that can be expected in such loosely controlled off-market activities," said Brock Silvers, managing director at Shanghai-based investment advisory firm Kaiyuan Capital. Now the Chinese government is trying to clean up the industry with tighter regulations, part of a broader clampdown on risk in the financial sector. The number of peer-to-peer lenders shutting down spiked from 28 in May to 218 in July, according to Wangdaizhijia, a firm that monitors the sector. "The regulators ... have got more serious about trying to crack down on this because they realized it's getting out of hand," said Andrew Collier, managing director of financial research firm Orient Capital in Hong Kong. The construction project manager who spoke to CNN said he thought his investment was safe because Tourongjia appeared to have government endorsement. Multiple reports in Chinese state media mention meetings between company executives and local government officials in the eastern city of Hangzhou, where Tourongjia was based. Government officials toured its offices and even attended fancy banquets. The Hangzhou city government didn't respond to a request for comment. Police quashed a planned protest over the online lending crisis in Beijing on Monday. After Tourongjia's collapse, there's no sign of compensation for those who lost their money. "In China, the law only protects a small group of people — not us, the masses," the construction project manager told CNN. He and others who lost their money with similar sites are trying to take their grievances to national authorities — but with little success. A planned protest outside the financial regulators' offices in Beijing on Monday was swiftly shut down by police. "The government isn't going to bail anybody out. I'd be very surprised," Collier said. He predicts that after the current shakeout, the industry will eventually consolidate around bigger internet players and banks. China's central bank didn't respond to a request for comment on investors' losses. It has previously said it would crack down on bad lenders and urged relevant government departments to help improve "investors' rationality on investing, loans and risk." Those who have lost money say they're not giving up, despite the risk of jail or detention. 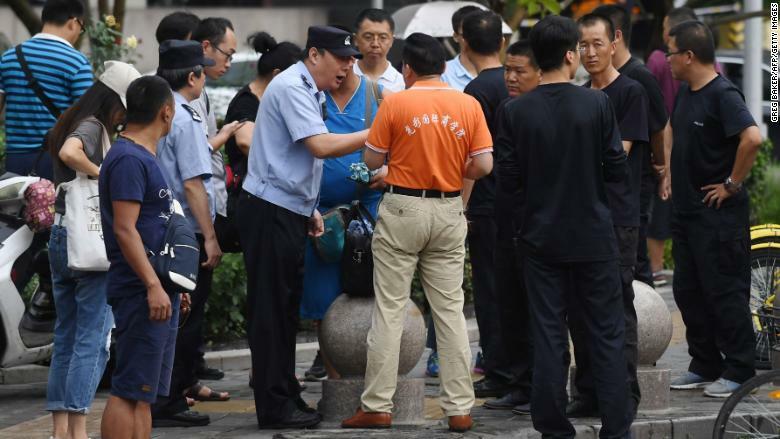 A 36-year-old healthcare salesman who said he lost about 1.4 million yuan ($200,000) with Tourongjia told CNN he expects the protests to continue. "We need to fight for our rights," he said. "My life is ruined. Now, I'm like a financial refugee." -- Daniel Shane, Serenitie Wang, Nanlin Fang, Yong Xiong and Steven Jiang contributed to this report.